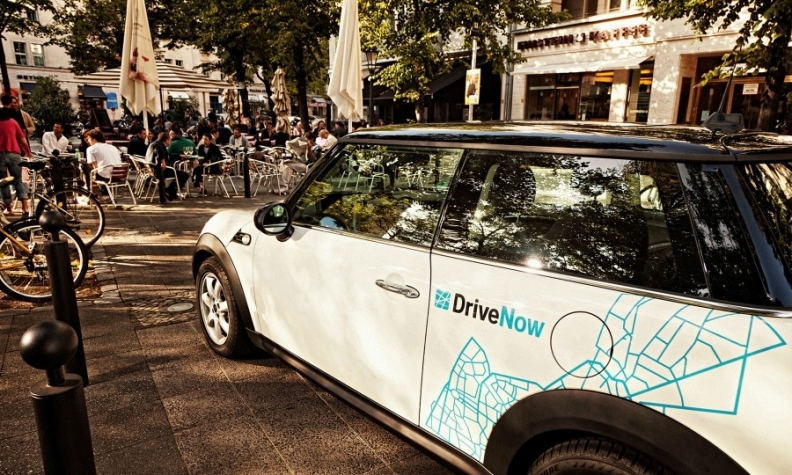 Car-sharing services such as BMW's DriveNow will benefit from autonomous cars, Boston Consulting said. DETROIT (Reuters) -- The growth of car-sharing services, such as BMW Group's DriveNow and Daimler's Car2Go, could trim global vehicle sales by 550,000 in 2021 and cost manufacturers more than $8 billion in lost revenue, a study said. Car-sharing services will have a bigger impact in Europe and the Asia-Pacific than in North America, according to a Boston Consulting Group study. Automakers in Europe are expected to lose about 278,000 sales a year to car-sharing customers in 2021, which will be offset by sales of 96,000 vehicles a year to car-sharing fleets, for a net loss of 182,000 vehicles. By comparison, automakers in North America will likely lose about 52,000 sales a year to car-sharing, while selling 44,000 vehicles a year to car-sharing fleets, for a net loss of 8,000 vehicles. In the longer run, according to the study, autonomous vehicles will have a much greater impact on new-car sales than car-sharing but not until 2027, when the two are expected to converge. Car-sharing services will benefit from the low operating costs of automated vehicles, coupled with their ability to be exactly where users need them, which will increase utilization rates. Their low operating costs will also enable services to provide adequate coverage in smaller cities, resulting in more users and a consequent reduction in private ownership, the study said. Self-driving cars, not car-sharing, will be the true game changer, the study concludes. Self-driving cars will erase the distinction between car-sharing and ride-hailing while providing users with a "significant" edge in the total cost of ownership. The study did not account for the short-term impact of ride-hailing services such as Uber and Lyft.